Air conditioning services have been an integral part of the U.S. since the early 1900s. In 1902, Willis Carrier crafted the first modern AC unit that passed warm air through freezing-cold, coiled pipes across a Brooklyn building. Carrier’s AC system absorbed the heat and lowered the overall temperature, subsequently cooling the enclosed area. As the years went on, air conditioning began showing up in more and more homes across the country. Throughout the 1940s, ’50s, and ’60s, ACs essentially replaced window fan units in popularity and completely revolutionized the cooling sector. Nowadays, the United States uses more air conditioning than all other nations combined. In fact, 84% of all homes across the U.S. have some sort of air conditioning unit. The average American family has to do more than just have their AC unit installed, however. Without staying up-to-date on proper AC inspection and repair services, you’ll run the risk of breaking your system, ruining your family’s summer, and spending far too much on your home’s energy expenses. Why work with an experienced air conditioning company? 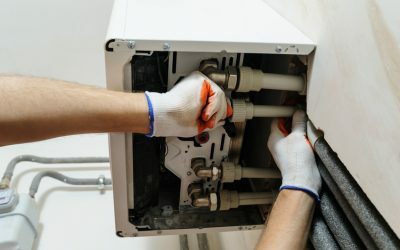 Unless you’re trained on proper HVAC services like air conditioning maintenance and inspections, you probably aren’t sure how to perform a thorough and efficient repair job. By working with professional air conditioning services, however, you’ll be able to relax knowing that your HVAC systems are in good hands. Clean condenser coil and remove all debris from the unit. Measure voltage and electric currents of the blower’s motor to ensure maximum efficiency. Inspect for gas and coolant leakages. Check the unit for Time Delay Relay. Inspect the unit’s suction line for proper fitting. Address all electrical areas for potentially exposed wiring. Inspect fan blade, test capacitors, ductwork, blower bests, and all attached fittings. Clean and replace the air filter. Whether you are in need of air conditioning repair services, installation, maintenance, or general air quality improvements, Complete Pro Air Conditioning can help. Give us a call today to receive exceptional air conditioning services in the Tampa area.